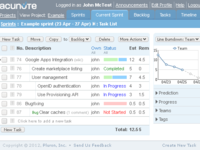 Designed as a simple yet powerful Agile PM and Scrum tool for companies large and small, Acunote allows project teams to plan sprints, identify backlog items and monitor burndown in real-time. 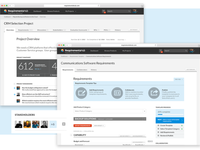 RequirementsHub is used by IT departments and IT procurement & sourcing groups in organizations in all industries. It's also used by local & state governments and higher education institutions.